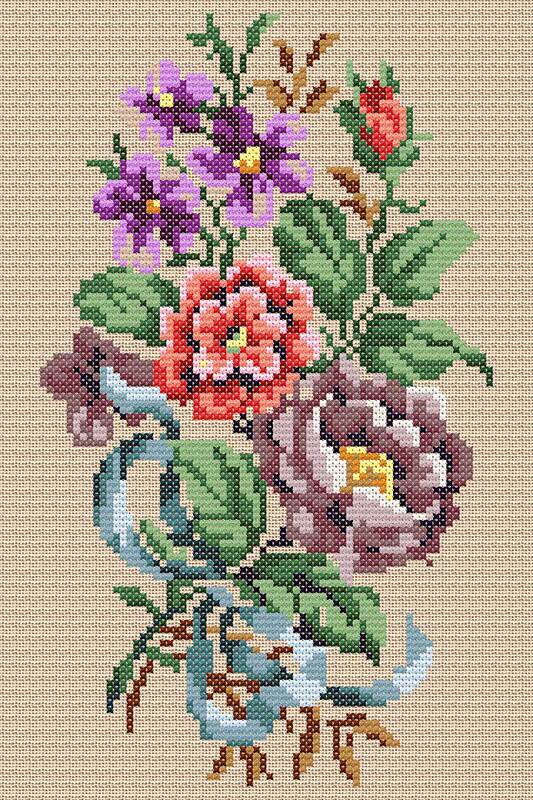 Charted from a reproduction of a hand painted needlework chart originally produced on Berlin in 1860. The earlier charts were the best as they were painted by very skilled painters who understood that the charts needed to be clear and distinct. The original design would be etched on to copper plates and printed in symbols similar to those we use today. The chart was then hand painted in a thick type of gouache paint with a square ended brush. The design may be stitched on linen or Aida fabric.